It sounds like common sense, but apparently, it’s not. 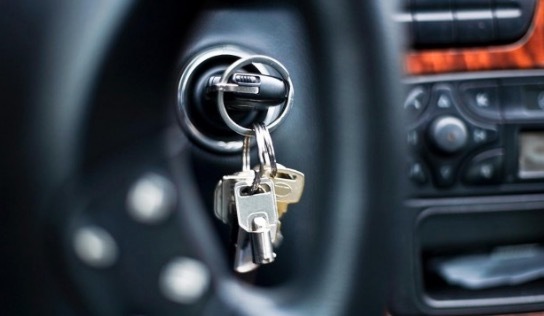 Chicago police last night issued a community alert that warns drivers not to leave their cars running with the keys in the ignition when the vehicle is unattended. According to the alert, one thief has stolen three idling cars in Streeterville and River North since Jan. 30. Each time, the stolen car had been left running and unoccupied during evening hours when the thief emerged from a dark-colored Lexus or SUV and drove away with the idling vehicle. The suspect was described by police as a black male who wears a white hoodie, blue jeans, and black and yellow shoes. Cars have been stolen from the 100 block of West Erie on Jan. 30; the 300 block of East Ohio on Feb. 8; and the first block of West Oak on Feb. 9, according to the alert. Taken in the Feb. 8 incident was a 2006 Bentley coupe, according to police records. Details about the other stolen cars were not immediately available. Police are advising people to not leave their keys in their vehicles and to turn off the engine when they step away from their cars. Doors and windows should be locked, police suggested for the totally dense. Anyone with information about these auto thefts may contact Area Central detectives at 312-747-8382 regarding case P19-1-047.